National Water Development Agency inviting application for 73 various posts. 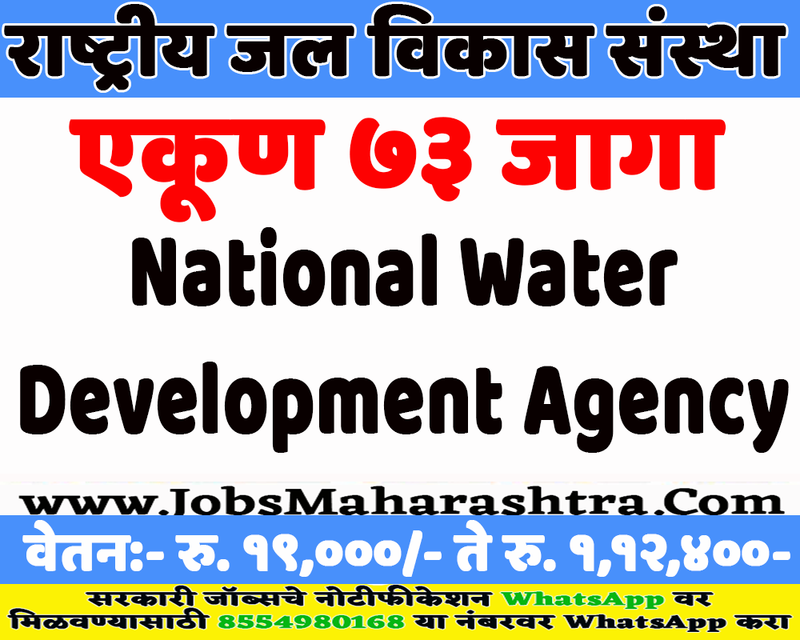 Interested and Eligible candidates who want to apply for these posts kindly submit their applications online on NWDA official website before 22 February 2019. For more details like age limit, salary, how to apply, selection process please refer the below article. Age Limit:- Minimum age limit is 18 years & Maximum age limit is 27 years. Junior Engineer:- Diploma in Civil Engineering or equivalent from a recognized University or equivalent. Lower Division Clerk:- (10th Pass) Matriculation or equivalent from a recognized Board or equivalent/ Minimum speed in English typewriting of 30 w.p.m. or Hindi typewriting of 25 w.p.m/ Knowledge of Computer operating system, computer peripherals etc. The candidates applying for the above mentioned posts should go through a detailed advertisement before applying for any post and ensure that they fulfill the eligibility criteria as laid down in the advertisement for that post and submit the online application on the official web address is given in important web link section. For all posts mentioned above the selection/appointment will be made by conducting a competitive computer based online test from the eligible candidates after shortlisting, who fulfill the eligibility criteria.